Multiples present a great value proposition to operators since they are rarely an attractive option to professional bettors. These types of bets generally attract recreational players that operators value. The type of player who wants the excitement of relying on many matches, getting more and more excited with every single winning game on the bet slip. The perceived value proposition to the player is great, minimal risk and maximum reward, but multiples reduce the probability of winning. With each added game the potential pay-out increases while the probability decrease. Betting Promotion believe that these types of bets should be easily accessible from all devices. Normally a player would have to spend time creating a bet slip containing multiple events. This can be especially time consuming using a mobile device. Enter Bet Generator! When using this feature, the player enters how much they would like to Win and Stake size. The engine then generates a bet containing multiple events matching the potential Win set by the player. 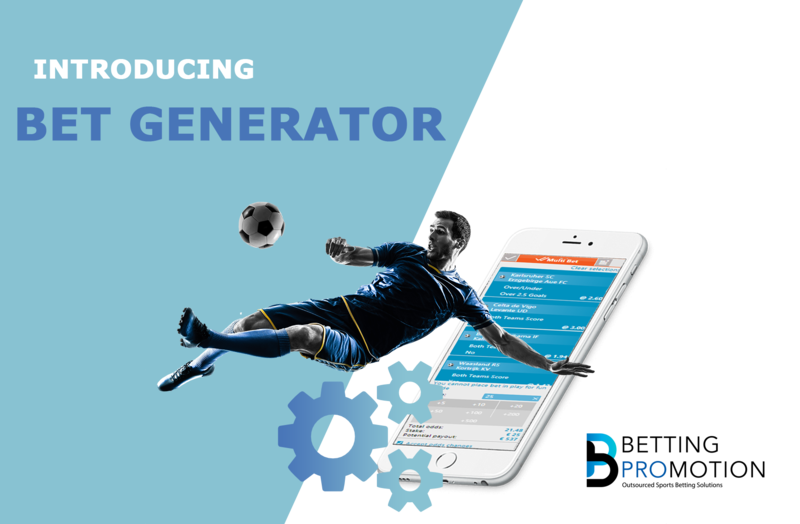 This new feature is now available to Betting Promotion operators using our Fully Managed Sportsbook solution. Players can access it both in pre-live and in-play environment. Our developers are developing additional functionality for the Bet Generator, implementing machine learning variables. The engine will recognize the player’s betting pattern and generate a multiple containing matches and markets the player would normally bet. 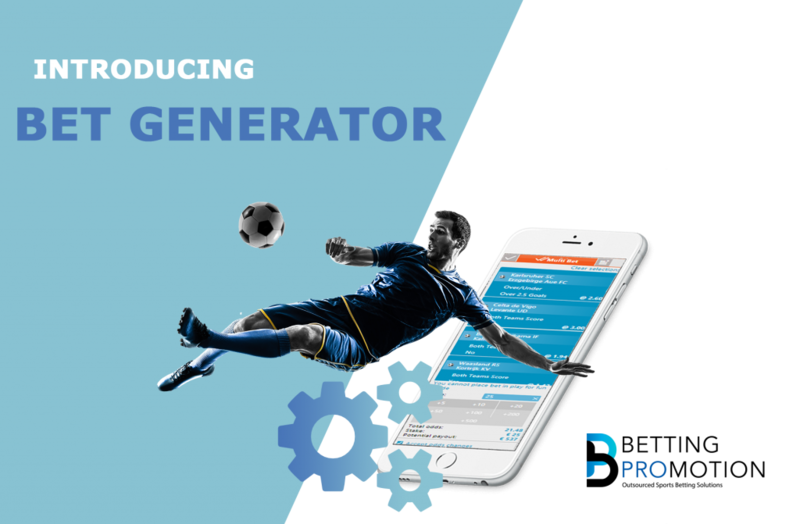 Bet Generator is a continuous effort of adding fast-paced features to drive engagement, brand loyalty, volumes and provide cross selling opportunities between Casino and Sportsbook products.